The beach at Minster on the Isle of Sheppey is a large shingle beach facing toward the north east. This makes it a popular spot in north Kent when the wind is from the north west to the east via the north. Both access and launching at this beach are easy. There are plenty of spaces to park along the sea front and near the cafe’s. On a high spring tide there is not much beach for landing which could be the only real issue here. The beach itself is really long, providing loads of space for kitesurfers and windsurfers, especially at mid to low tides. If the conditions are good then there will always be someone out. As the tide drops, sand is exposed, creating vast areas of shallow water which suits beginners. The beach profile is also fairly gentle, enabling you to stand up at mid to low tide. 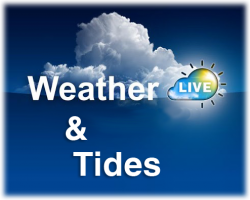 It can be used on all tide states, however low and mid tides are best due to the flat water and greater space on the beach. This beach can be used in winds that are from the north west, north, north east and east. However, the best wind is from the north west or north for flat water. When the prevailing south west winds are blowing it becomes unsafe to use Minster, in which case beaches like Camber Sands on the south coast will be usable instead.